The trail meanders along the seasonally wet Arivaca Creek stream course, under giant cottonwoods and through lush vegetation which attracts songbirds, woodpeckers, owls, and coatis (raccoon relatives). A short side trail leads from the stream bed to the 1870s-era adobe ranch house of Eva Wilbur-Cruce, who wrote about growing up here in "A Beautiful Cruel Country." A quarter-mile downstream from the trailhead, Mustang Trail branches off and provides a chance for a vigorous 5-mile round-trip hike to Mustang Saddle and then via switchbacks to the top of El Cerro, a small mountain. Mustang Trail has no shade and is best experienced in the cooler winter months. 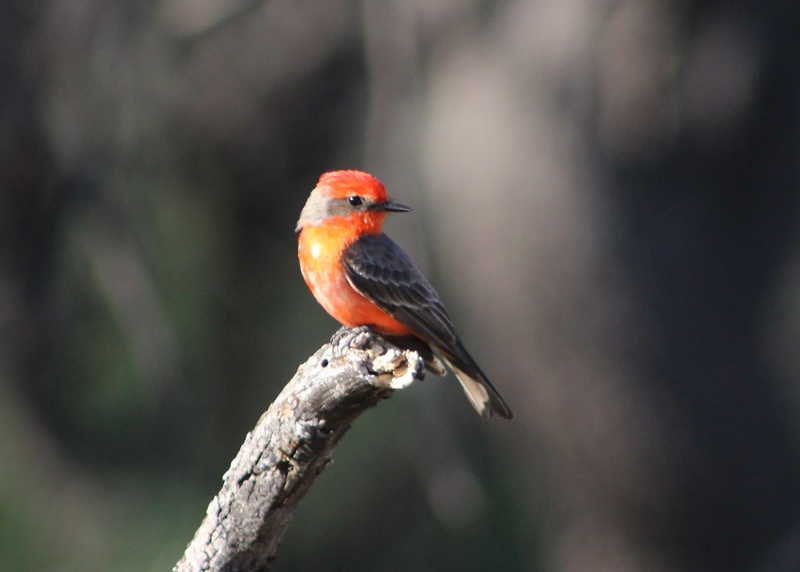 Along Arivaca Creek Trail in spring and summer, brilliant vermillion flycatchers flit among branches along the creek. The summer air is alive with calls from summer tanagers, yellow-breasted chat, cardinals, and phainopeplas. 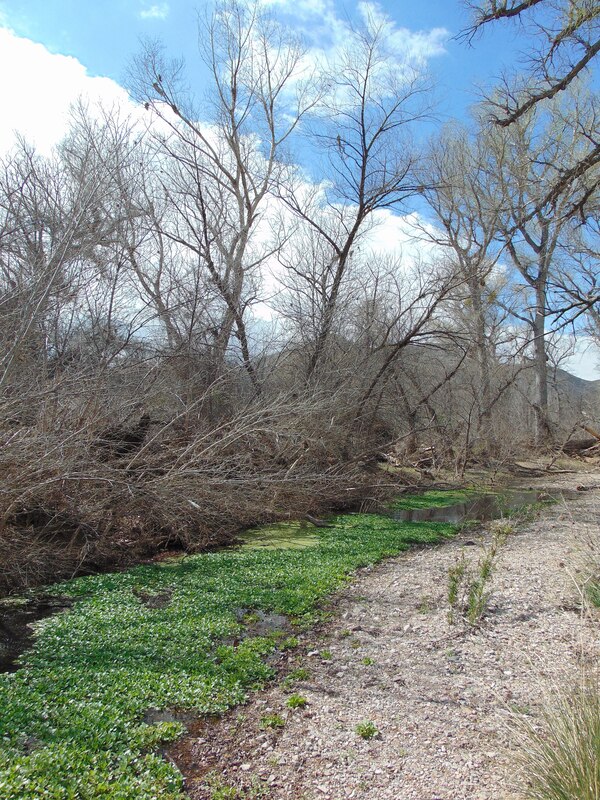 Arivaca Creek Trail is significant ecologically because it preserves riparian (streamside) habitat. Arizona has lost more than 90% of its riparian habitat due to human-caused activities such as channelization, livestock grazing, development, and water table pumping. The shade, moisture, lush greenery and abundant insects attract a wide variety of bird life. In turn, this makes Arivaca Creek Trail a destination for bird watchers. The trail along Arivaca Creek takes visitors through rare and valuable desert southwest wetland and riparian habitats, homes for listed endangered species, species of concern, and many other native plants and wildlife. Nearly 340 species of birds have been recorded at Buenos Aires NWR, many of them along Arivaca Creek. Several subtropical birds are occasionally seen at Arivaca Creek, at the northern edge of their range. Examples are the northern beardless Tyrannulet, green kingfisher, and tropical and thick-billed kingbirds. Birders come to southeastern Arizona, including Arivaca Creek, to sight these subtropical specialties. Interpretive signs are located on a large kiosk in the parking lot, with 2 or 3 additional interpretive signs along the trail. The trailhead has one picnic table, and one bench is located along the trail. Sign at the Arivaca Creek traihead in the Buenos Aires National Wildlife Refuge. Photo by The Old Pueblo wiki. Arivaca Creek, overgrown with water weeds, near the ruins of the Wilbur Ranch. Photo by The Old Pueblo wiki. Vermilion Flycatcher. Photo by Timothy Wilcox.